Last week was annual performance review time at my home. My daughter, Mallory, was a solid contributor but failed to deliver in a couple of areas within her responsibility, so I was forced to put her on a performance improvement plan. I made sure to document the many conversations throughout the year regarding her failure to complete her piano practice and put plates in the dishwasher, so the news was no surprise to her or the rest of the family. It was a terrible moment for me, as her father, to share with her how her lack of performance is hurting the rest of the family and that we will have to let her go if things don't change. I also made sure to close our conversation with encouragement and to let her know the rest of the family and I would support her in raising her performance. Does this sound a bit ridiculous to you? Most people would never lead their family in this way. A family is supposed to be the one group of people that makes you feel safe and accepted for who you are and support you in who you want to become. Of course, Mallory's mother and I have high standards for our children, but in no way would we ever ask her to leave our family because she failed to meet those standards. That's not how our family works. As parents, our mission is to nurture our children and support them as they become independent and productive members of society. We do it with love, encouragement, acceptance, and discipline. The reason this feels so silly is that this is how you run a team, not a family. Leaders talk about "family" and "family atmosphere" when they describe their teams and work environment. The ABC company will describe what makes them unique is that it feels like a family. Their logic is that if we are going to spend all day together, then it should have a family feel. They will go so far as to include it in their strategy as a competitive advantage, naming it "the ABC Family." The sentiment behind this "work family" idea makes sense. Well-intending leaders want people to feel supported and committed to each other. They want individuals to put the needs of the team before the individual. But is it sending the wrong message to call it "a family?" What happens when people are not meeting expectations? What happens when you like someone on the team but he or she is not the right person for the role? What happens when you need to replace someone with someone more talented? "Family is an important concept in society, generally meaning everyone in a family is included, regardless of whether each member pulls his own weight." Teams are different from families because teams are put together to achieve specific results. As the leader of the group, it's your job to ensure that the team members are the best people for the job and that they are clear on the expected outcomes and team operating norms, and you must hold them accountable for achieving the desired results. "Only those who want to be on a high-performance team are on it and only those who pull their own weight stay on it, those who don't pull their weight are no longer on the team." If someone isn't delivering results within his or her roles and responsibilities, it's your job to remove that person from the team. Calling the team a family makes this so much harder. "We're a team, not a family. We're like a pro sports team, not a kid's recreational team. Netflix leaders hire, develop and cut smartly, so we have stars in every position." If you're currently in the "work family" camp, Lane and Hasting's words may sound a bit harsh and cold. But what's worse: having a low-performing team because you treat everyone like family, or letting someone go so they can find a role that better matches their motivation and capabilities? You might avoid the immediate pain of looking someone in the eye and telling them they aren't performing well enough to be on your team, but the long-term implications can be devastating to team performance. 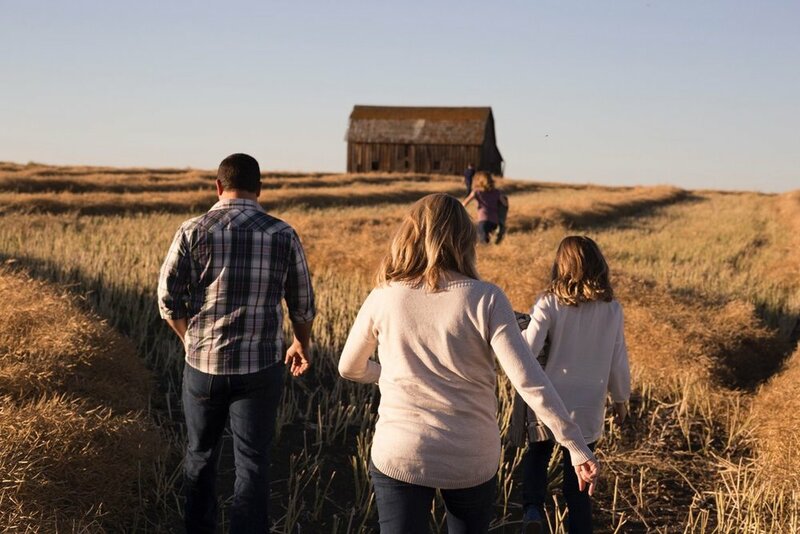 The family analogy at work sends the wrong message to your people because it blurs the line between performance expectations and the support and acceptance we should be getting at home. Shift your mindset. Your work team is not a family, though you can genuinely care for each other. You can support each other through the valleys, and cheer each other on when you reach the peaks. Part of the shift is thinking more about the peaks. The purpose of the team is to reach the peaks. I love the journey as much as the next person, but we can't lose sight of the team's mission when we are caring for the individuals with us on the trail. Change the words you use when you describe the team culture or atmosphere. An obvious starting point is to describe the team as a "team" or a "high-performance team." Make sure you are talking regularly with your team about what makes a high-performing team. Let them help you draft a set of rules or norms that the team believes will enable high performance. Change your behavior by asking yourself these three questions: Am I communicating the expectations for the team and individuals? Have I clarified roles and expectations for every individual on the team? Am I making the hard choices required to help this team perform at its highest level? If you can't say "yes" to all three with absolute confidence, then you have work left to do. Revisit these questions regularly because changing circumstances can derail your team quickly. The best leaders are deliberate with their words and actions. They balance achieving business objectives with caring and nurturing the members of their team. They cultivate friendships and maintain the highest standards. With a little effort and intentionality, we can all be this kind of leader. Just imagine the impact you would have if you knew exactly how to be more strategic in everything you do and every decision you make. That is why I built See the Big Picture: Nine Steps to Being Strategic. It is a free 15-page guide loaded with simple ideas to help you transform into a strategic leader. Get your free copy here.